Mayor of Ciudad Valles, San Luis Potosí, Jorge Teran, will be in Irving, Texas along with a group of investors who are opening new businesses in the DFW area. The U.S.-Mexico Professionals Network, an initiative of the USMCOC Northeast Chapter in NY, invites you to celebrate Mexico's Independence Day! 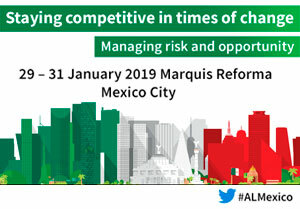 Join us for a unique opportunity to listen and meet, in a single conference, top Mexican Government Officials from most of the energy regulatory agencies and government enterprises in the Mexican energy sector. The USMCOC Southwest Chapter cordially invites you to attend this event to discuss tax trade effects in the U.S., Mexico and China. The USMCOC Houston-The Woodlands-Gulf Coast cordially invites you to the 7th Golf Tournament at The Woodlands Country Club. Dinner, awards and fun! A Review on the fast pace evolving economic and political landscape and its implications on the real estate sector.